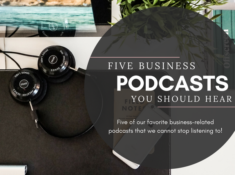 We appreciate all of the love that you have shown on both the Podcast and the TED Talk series here on the blog! 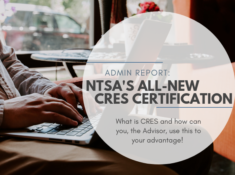 In fact, we receive the most engagement on these posts and for that reason, we will keep them coming! 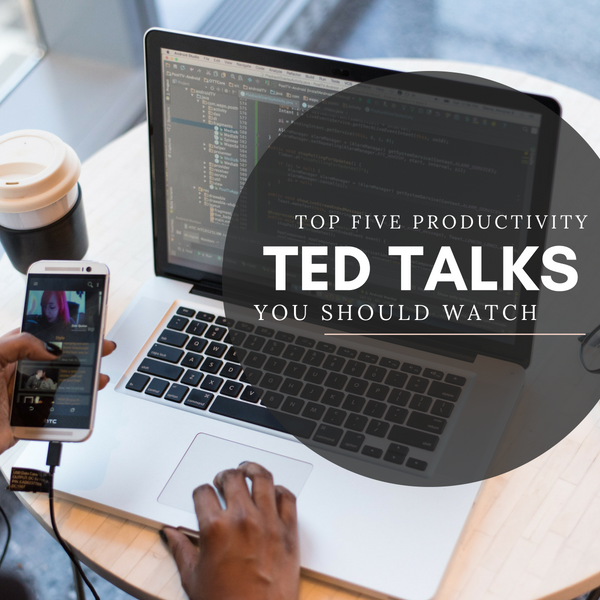 Today’s list includes some TED Talks that are going to help you amp up your productivity. As with most things in life, there is a direct relation from your mental health to the levels of productivity (not to mention the success) in your professional life. As you will see in the list below, a lot of these talks encourage you to make small, but beneficial changes to your daily personal life. 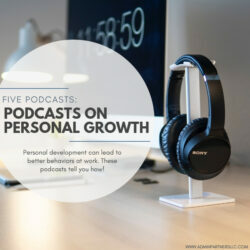 The talk then explains how these changes enhance you professionally: from productivity levels to the exchange you have with people in the workplace. Let’s dive in! 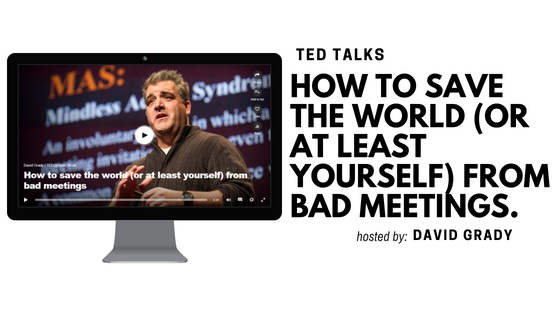 This may be an older TED Talk (it is from 2009) but the message is still very relevant to people and their productivity levels today. 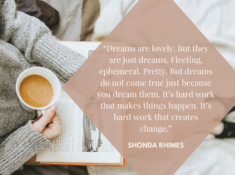 The idea that success is a one way street with no turns or bumps in the road is one that we have all had in our minds at one time. 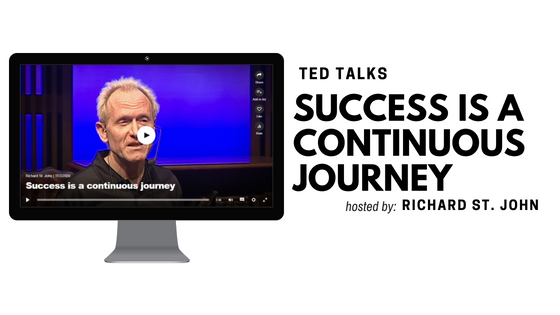 Richard St. John debunks this theory and uses his own success and failures to showcase that it is actually an evolving journey with both highs and lows. This talk is for those looking to enhance their productivity and those who want a little boost of motivation. If you follow us on Twitter than you know how much we love Arianna Huffington and the posts on (her brand) Thrive Global. Arianna has used her own personal experience with professional burn out to influence others on the importance of self-care and the impact that has on our professional lives. 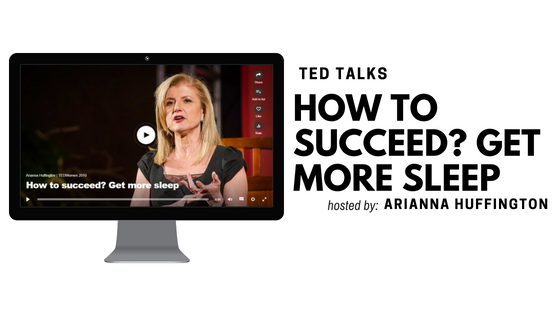 In this talk, Arianna discusses the significance of a good night’s sleep and how getting a good night of rest can positively impact both our productivity and happiness levels. Instead of bragging about the little amount of sleep we get, we should all be shutting our eyes to see the bigger picture. Andy Puddicombe, a former monk turned mindfulness expert, follows in the steps of Arianna Huffington by showcasing exactly how our mental health can affect our productivity levels in a work setting. This 9 minute talk is both insightful and refreshing. Andy (who also co-created the meditation app Headspace) examines the transformative power of doing nothing – and we mean absolutely nothing – for just 10 minutes a day. 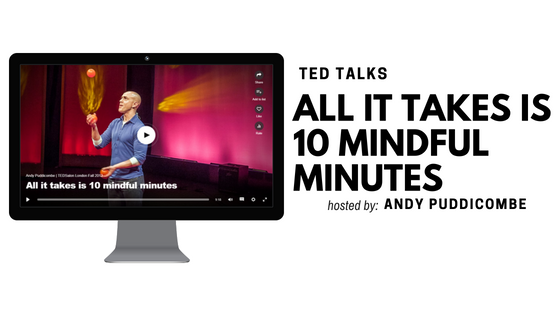 While most people think it’s impossible to spare 10 minutes in their busy schedule, Andy shows just how much those 10 minutes can change the course of your entire day. Ever sit in an unproductive meeting that drags on for an hour (or two) and when you leave, it seems less got accomplished than before you walked in the door? You are not alone! 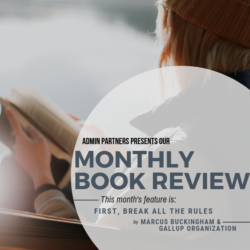 David Grady is an expert on bad meetings and shares insight on how these inefficient and ineffective meetings are plaguing the workplace. 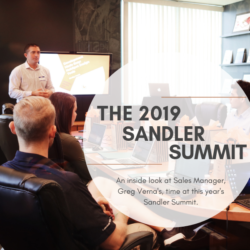 Even better, Grady has some ideas on how we can stop having these types of meetings and start having ones that increase productivity for everyone involved. 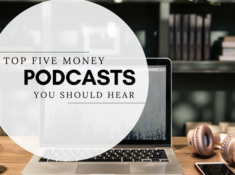 It seems silly to add a video to the list that is hosted by a self-proclaimed ‘master procrastinator’ but we ask that you hear us out. 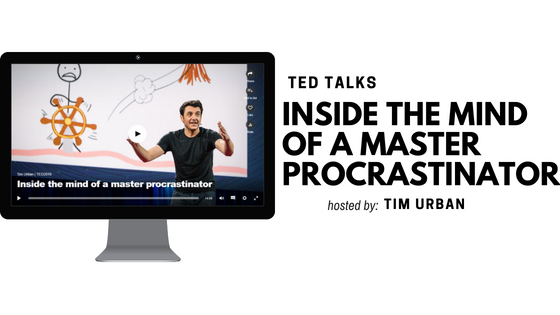 Tim Urban claims to have spent years fighting the issue of procrastination. Isn’t that the opposite of productivity? Yes! This funny and (very) entertaining talk showcases the mind of someone who cannot seem to grasp onto productivity. In an even more insightful way, it also poses the question: what are you really procrastinating on? It may be a lot more than just that paper that you have due tomorrow! Sign up here to get exclusive updates, new posts, offers & interesting tips!